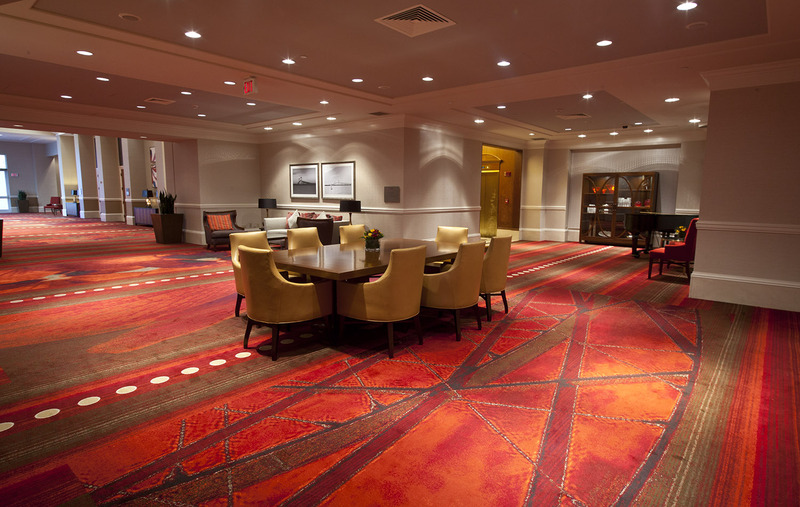 Set among cobblestone streets and a bustling restaurant and arts district, The Omni Providence hotel is also conveniently located adjacent to the Rhode Island Convention Center, Dunkin’ Donuts Center and the new Providence Place mall. 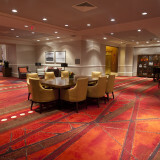 The hotel is also within walking distance of Brown university, RISD, Providence College, and several art and history museums. Its status as one of the tallest buildings in the city affords it some of the best views of the providence skyline. 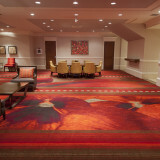 With 564 newly renovated guest rooms and suites among two towers, the hotel provides upscale lodging and amenities. C+TC recently added the newly designed Morsel’s coffee shop and renovated the Lobby, ballrooms, prefunctions, meeting spaces. The hotel is finished with deep wood tones, gold and champagne accents. 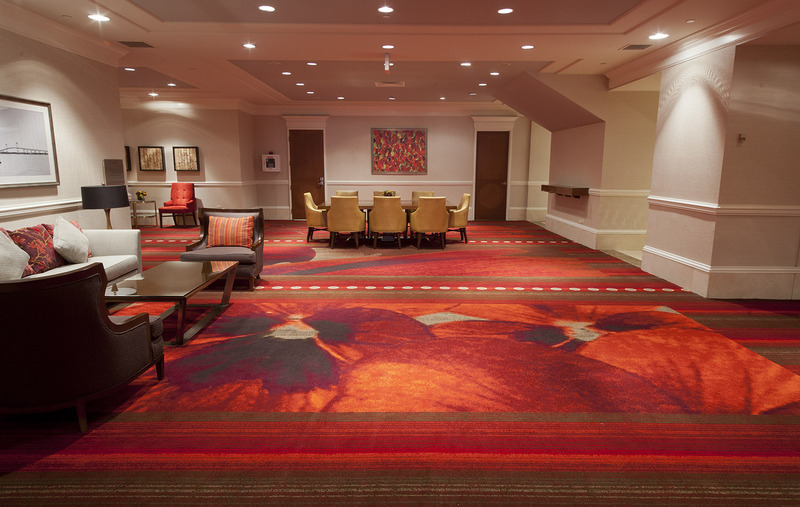 Scarlets and deep reds in the carpet and furniture carries throughout the public spaces and guest rooms, providing a contemporary accent to the old world charm of historic Providence. 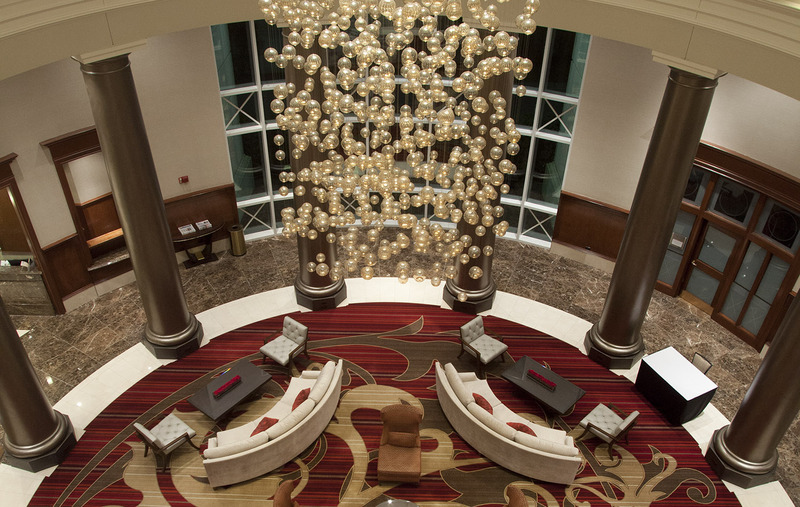 An exceptional lobby room designed by C+TC. A beautiful lobby room with flower carpet. 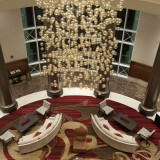 A sky view of a lobby room in a building.